1. 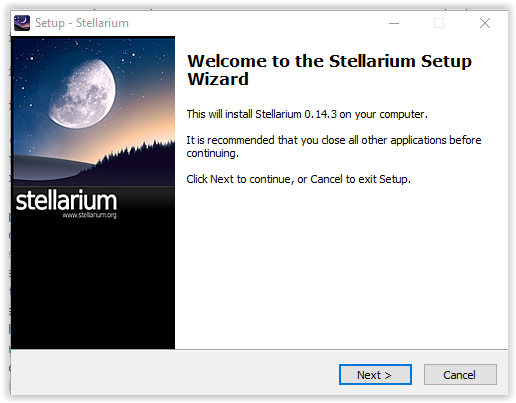 Visit the Stellarium webpage. 2. Select the Windows (32-bit or 64-bit) download button at the top of the page. 3. 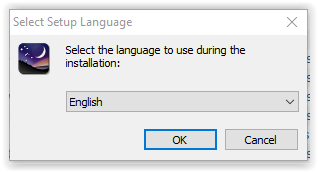 Choose a language for the installation and click OK.
4. 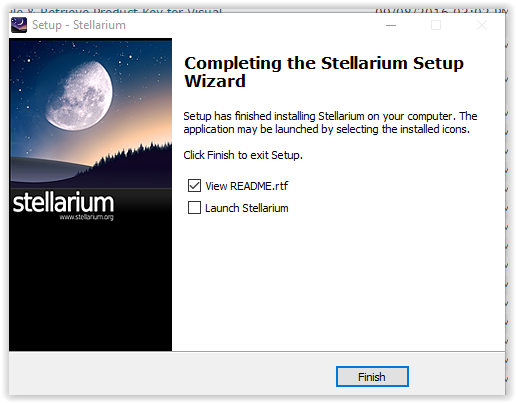 The Stellarium setup wizard will appear. Click next. 5. 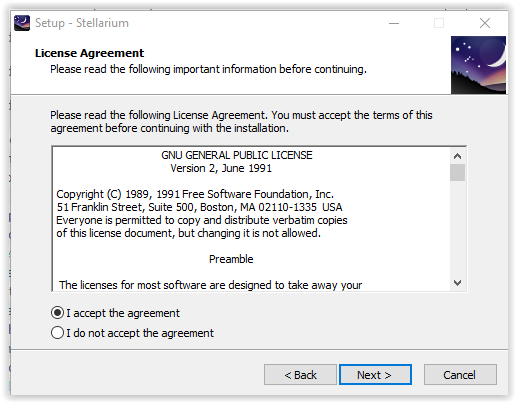 Read through the License agreement and if you agree to the terms then click I Accept the Agreement. Then click Next. 6. Choose a folder for the Stellarium files to be installed into the click Next. 7. Choose a folder where the program's shortcuts will be created in. Click Next. 8. 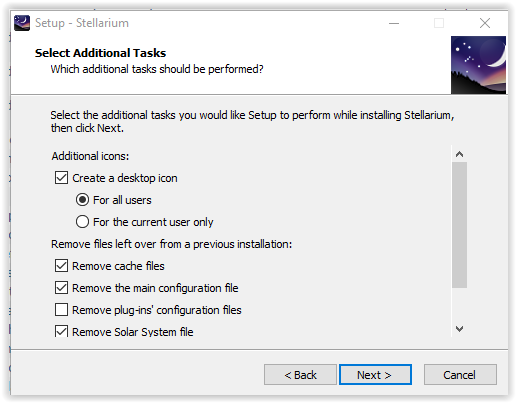 Specify which additional tasks you wish to be done with the installation then click Next. 9. Review the settings of the installation and click Install if you like them. If you want to change any of the settings then click the Back button.